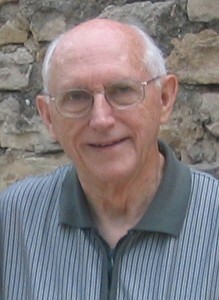 Tom Julien served as a ground-breaking missionary and leader in France from 1958 until he was asked to return home in 1986 to become the executive director of Grace Brethren Foreign Missions (which became Grace Brethren International Missions – GBIM in 1995 and is now known as Encompass World Partners). During his years in France, he was instrumental in the development of programming at the Chateau of Saint Albain, a medieval castle that serves as a bridge between believers and nonbelievers and giving identity to a church planting movement in southern Burgundy. The Chateau served as a base for such ministries as the Euro-Missions Institute, the Grace Theological Seminary Extension, and Editions CLE, a publishing ministry. It also became a meeting place for evangelical encounters in France, including REMOP, the yearly encounter of church-planting ministries of the Evangelical Federation of France. As executive director of GBIM, new ministries were inaugurated, such as The World Mission Church, The ACT Strategy, People Group Adoption, Global Opportunities, Charis International Alliance, and the Strategic Alliance for Leadership Training. Church planting ministries extended into Portugal, the Czech Republic, Turkey, Russia, Uruguay, Chile, Paraguay, Cuba, Thailand and Cambodia, in addition to the twelve countries where GBIM was already serving. Following his retirement, he and his late wife, Doris, served as Special Assignment missionaries to France, working with university students in Paris. He also is the international coordinator of SALT, the Strategic Alliance for Leadership Training.